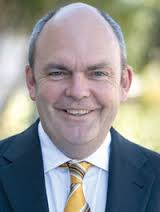 Novopay Minister Steven Joyce showed his media training knowledge this week by fronting all media outlets after a report into Novopay was released. This is something all business leaders, school leaders and other politicians should take note of. The report was clearly going to be critical of government officials and ministers as to why and how the Novopay system was implemented. From a media training perspective, for that reason alone it was vital for the government and the National Party in particular that a spokesperson be available for any media that wanted to cover this story. That’s because the media were clearly going to cover the issue, so the government needed to make sure that its views were clearly covered in the subsequent stories. In other words, the government needed to do all it could to control the story by being available to everyone. From a media training standpoint, if Mr Joyce had not agreed to front on shows like Campbell Live, guess who the show would have asked instead? Probably Labour Party spokesperson on Education Chris Hipkins, or a teacher union official. All they would have done would be blame the government for everything. But because Mr Joyce was available, he was able to explain the facts and put his own spin on the story. He was the sole interviewee on Campbell Live that night. Before Mr Joyce became responsible for Novopay, the ministers in charge were often unavailable to media. That just gave ammunition to their political opponents by allowing them to accept media requests unopposed. This is something we cover in our media training workshops. The first instinct from someone under attack is often to run for cover. But to get your side of the story out and limit any reputational damage, you need to agree to any media request. This is the same for politicians, business leaders and school leaders. If you are at the centre of an issue, the media will come to you. If you refuse, give away your opportunity to control the story. You then have no-one to blame for the subsequent negative and one-sided publicity but yourself.